Google+ is about to get broken up. Pichai didn't give a timeline for when Google+ will be rebranded. 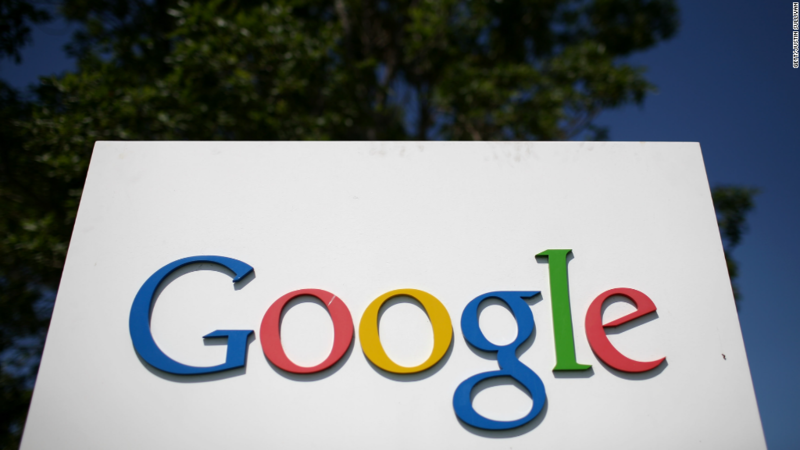 A spokesman for Google did not immediately respond to a request for comment. Google+ debuted in June 2011 as Google's answer to Facebook. The social network was advertised as a social network built from the ground up with privacy in mind, allowing people to share items with specific "Circles" of friends, family, coworkers and other groups. But it wasn't long before Facebook built a similar feature. Google has stopped providing statistics about the number of Google+ users, but it had more than 300 million active users a year ago -- about a billion fewer users than Facebook has. Google+ is going to be broken up into Photos, Hangouts and Streams. Despite its inability to unseat Facebook and its relative failure to capture the world's attention, Google+ is too big to kill (Google already shut down its other social network, Orkut, last year). And Google+ did have a few successes. Google+ Hangouts and Photos have gotten widespread usage from Google users, even if they don't actively post to Google+. Hangouts is Google's one-stop shop for communications, combining instant messaging, text messaging, Internet phone calls, video messaging and group chats. Particularly because of its presence on Android phones and Gmail, Hangouts successfully competes with Apple's (AAPL) iMessage, Facebook (FB) Messenger, WhatsApp and the like. Google+ Photos has also become a success. The photo storage and sharing platform allows smartphone users to automatically back up their videos and photos to their Google Drive. Google+ Photos organizes photos in clever "highlights" chunks and even lets people search for photos based on their appearance alone -- "beach" or "snow" will show appropriate photos without the need to tag them. 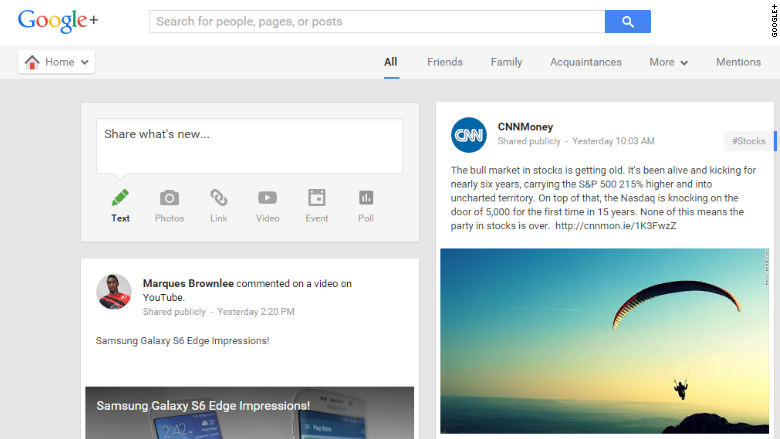 For those who still want to post to Google+, the newsfeed-like service will live on as "Streams." Google says that it's hardly giving up on the various components of Google+, and the breakup will only serve to improve the product's focus. "It's important to me that these changes are properly understood to be positive improvements to both our products and how they reach users," said the newly named Photos and Streams chief Bradley Horowitz in -- what else -- a Google+ post.